Our encouragement to parents is to guide and motivate their child to strive to his/her best in whatever they love. Such experiences would become invaluable assets for children to develop their inborn talents in the future. Once we discover their natural inclination and ability, it is easy to cultivate and enhance their innate capabilities. Developing the right brain enables these hidden potential to be realised. Think Right education guides the parents to truly believe in the potential and abilities present in their children. When we encourage every small achievement of the child, he/she wants to step up and do more. In this way, parents unconditional love will play a vital role in helping their children to build their self confidence. Over the long run, a child with a great self-belief will be able to tap into his inborn abilities and reach his full potential while pursuing his interests and goals. 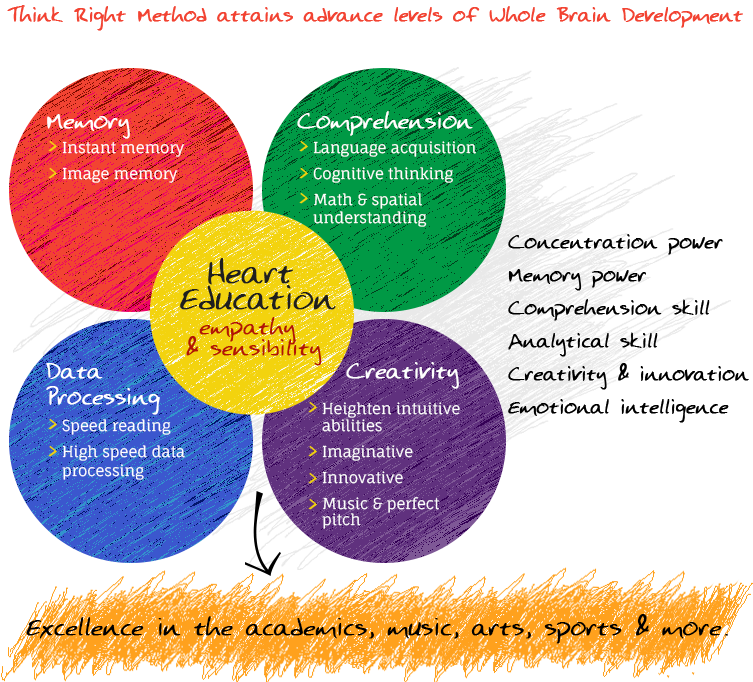 At Think Right children receive “heart education” while enhancing their capabilities. You can immediately see a positive influence on a child’s thinking and perception of how he relates to others and the world at large. Parents are the most important and best teachers to guide their children in this area of “heart education”. “True thinking ability” is functioning of logical thinking and the ability to make sensible judgement in sync with each other. In early years, during the critical period of 0-6 years we develop the Right brain with gentle stimulation to the left brain. Further development of the left brain is critical in the later years to assist primary and high school students to attain advance levels and analytical thinking skills. 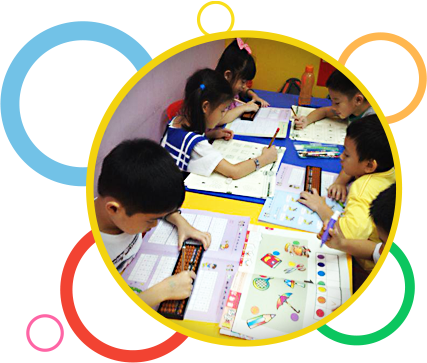 Think Right sets the right momentum for a child’s future learning by setting a well stimulated Right brain in order and eager to Bridge with the development of left brain in primary years in school.